Hi. I'm a new member so I should introduce myself. I'm David and I'm from Poland- country in Europe. So that's my stats. I play basketball in professional team in Poland but it's the lowest league so it's not as professional as you could imagine. I like more dunks . I made my first dunk when I was 19 years old and I did it off one leg. Right now I'm jumping only off 2 feet because of my injuries. I had a jumper's knee , twisted ankles maaaaany times and 4 months a go I had Plantar Fasciitis and I feel some pain till this days but I'm not giving up. I worked at the gym only for 4-5 months during 2 years. Usually after 1-2 months of workout I had injuries like ankles, knees or back. So I have not a lot of experience but right now I'm smarter after all of injuries and gym is important to increase my vertical, especially standing. I have no goals . I just want to stay healthy because last 2 years was awful and slowly increase my vert. I have some videos with my dunks so I'll write it in appropriate section. You should post a picture with your quads. Hey, welcome man! I just saw a few of your vids on YouTube the other day while browsing, nice hops! confused. you already jump high. You should motel your game after Ty Lawson... in bball speed > vertical, for players under 6 ft. Most guys that are quick like Ty....can also jump. 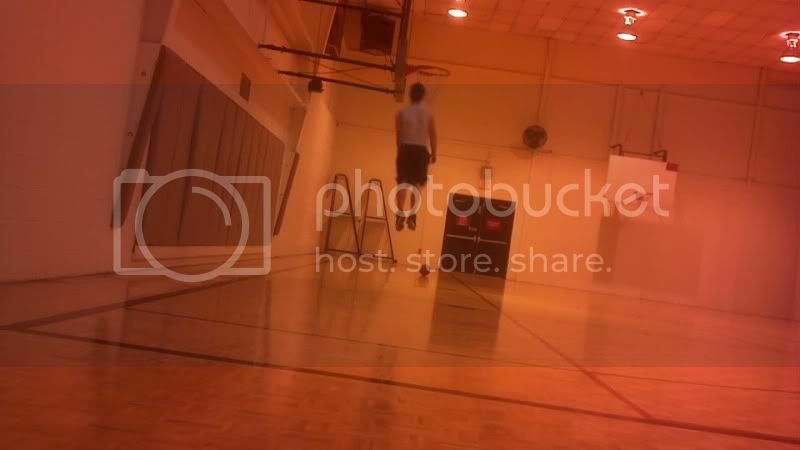 Ty can dunk easily. Look at it this way...if your max jump barely touches the rim then your in game submax jumps (layups, jumpers, etc) will all be well below the rim because you can't always just jump as high as you can in all situations. Now, lets imagine you can dunk easily...your submax jumps are now rim level. Guess which one majes it easier to score around the paint, grab rebounds and play D for a little guy? of course there is positive correlation with speed and vertical. but if you look at the successful bball players, speed wins. Tony parker is fast but his vertical isn't as much as his speed. Cp3 can jump, but his change of direction / stop and go is greater. Also, a lot of the freak jumpers in nba (there aren't too many) are not great ball players. But if u train for speed, ur vertical will get there too.